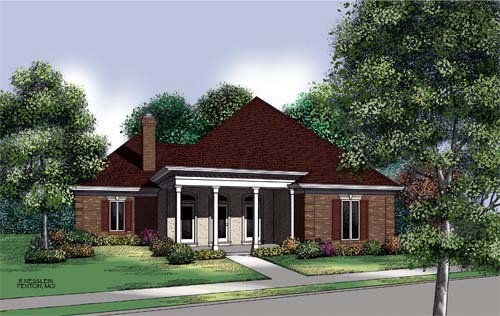 This handsome home is introduced by a columned front porch. The living room and formal dining room are separated by a huge fireplace with built in wood bin. A huge back porch provides plenty of additional space for entertaining. Two bedrooms off the living room share a full bath, and each boasts a walk-in closet. The kitchen is open to a large eating nook with bay windows overlooking the back porch. The master suite is a private paradise with its walk-in closet and full bath with a whirlpool tub.